It is that time again, the time when structure yields freedom. Or when freedom must yield to structure. 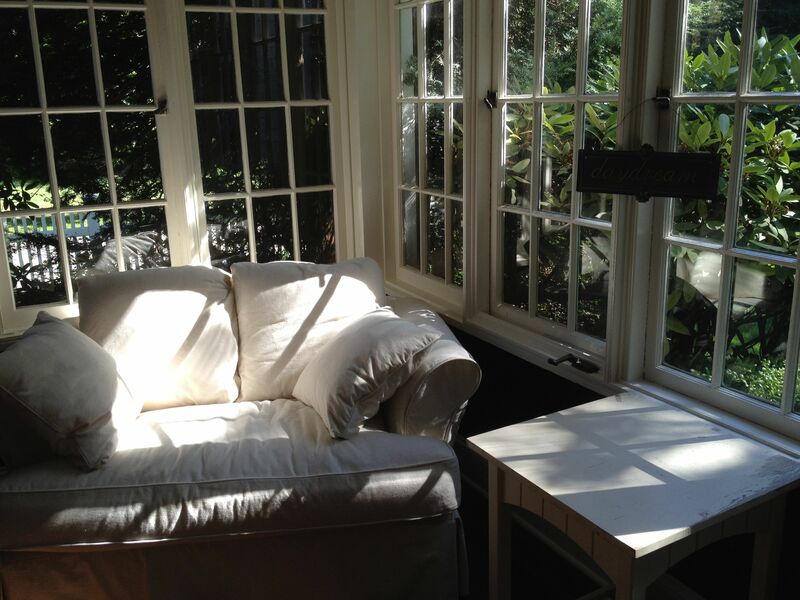 All through our long, wonderful and carefree summer, I have been planning and organizing. I have cleaned our schoolroom, filed our papers and redistributed the books. I have reviewed various programs, met with my fellow homeschool mothers and debated the merits and pitfalls of specific options. Finally the choices were made, the new books ordered, the desks cleaned one last time. Each week as I became more enamored with summer, I have found myself relentlessly marching toward fall. 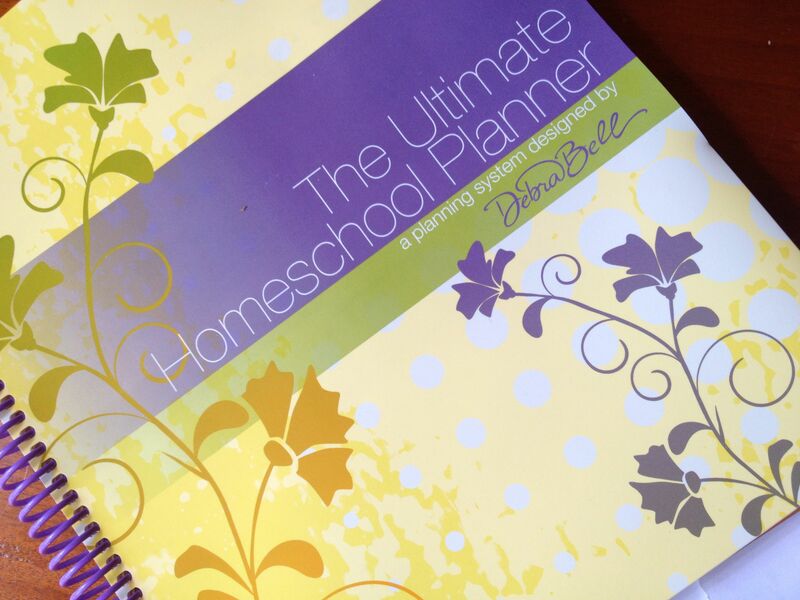 This year I am using Debra Bell’s Ultimate Homeschool Planner as my personal support system. I love the way this book encourages me to plan for the year, establishing academic and personal goals for every member of the family. Each goal is then broken into bite-sized pieces and redistributed across the weeks. Debra has built in discussion times (2x/week!) with each child to review goals and encourage progress. This system really guides our family to work both together and independently to achieve our goals. A favorite friend, visiting from Paris, helped to organize my best intentions into a scheduled reality. 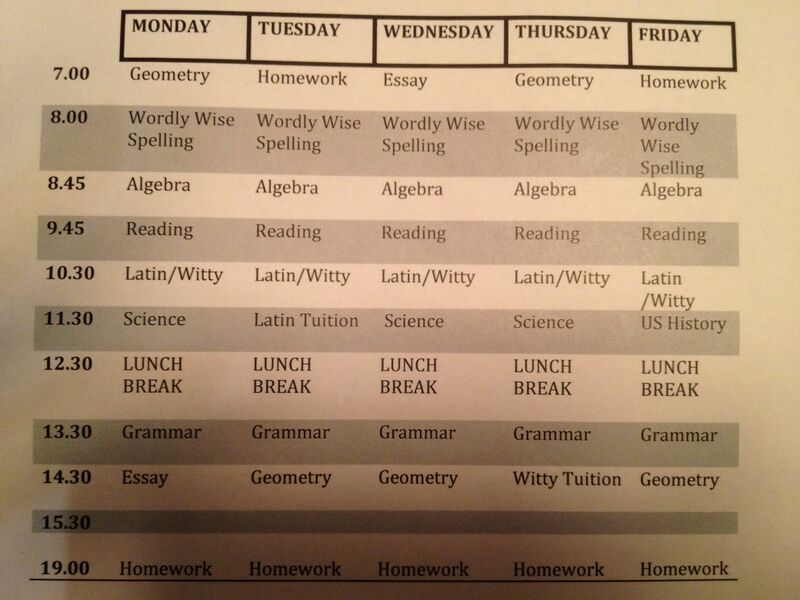 With some input from myself, and the Happymess students, she came up with a schedule that seems to work. The kids are happy to know exactly what is expected of them and I am glad to see all the key subjects making a permanent appearance on the daily schedule. Miraculously, I have been given the most amazing gift: a private study. This previously unusable and cluttered space has been transformed with navy paint and donated furniture. Happymess kids are as happy as I am that we will now have a quiet place for private discussions, goal setting and frustration resolution. And so, as we march inexorably toward September, we have cleaned, planned, arranged and scheduled. We are up to the challenge and excited to begin anew. A well-organized homeschool liberates our minds and souls to pursue higher learning and personal dreams. 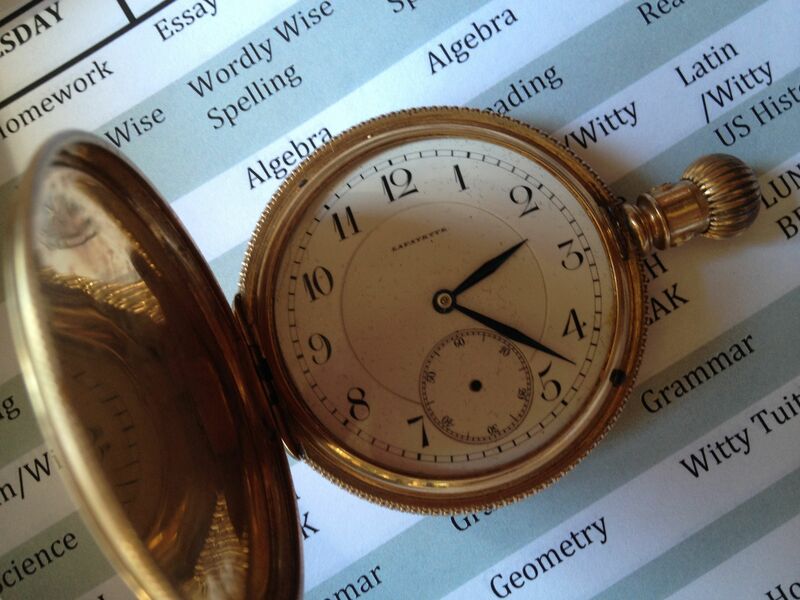 Let Me Count the Days: Homeschooling is finding that structure can set us free. with a link to a website with all kinds of helpful, and free, printable lists – or at least some starter ideas! I loved your post and the link to free printables! Being organized can become an entire career. My goal,is to keep my family ON TASK (academically) so we can enjoy all of life’s simpler pleasures. Really love your blog, in this post my favorite picture is the “Daydream” one which we as adults should never stop doing. Thank you for noticing. That was my favorite picture also, for exactly the same reason. 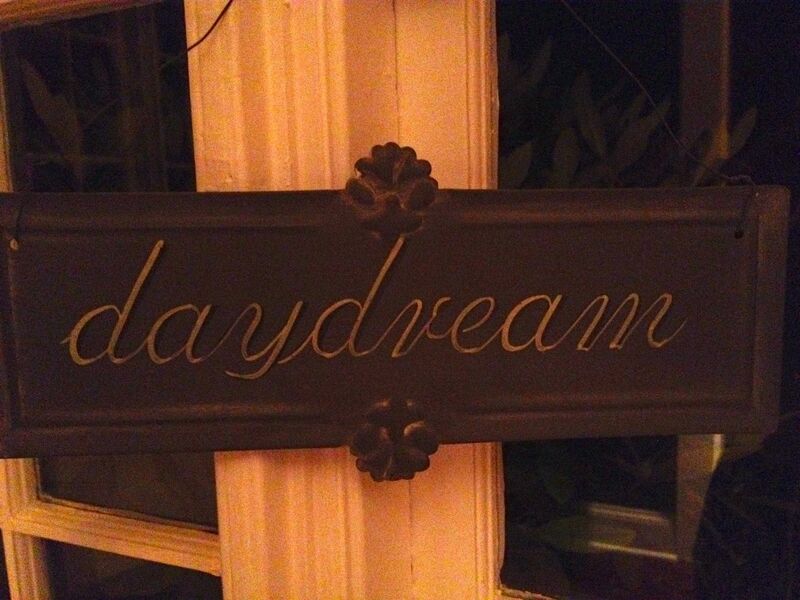 We all need to daydream more. 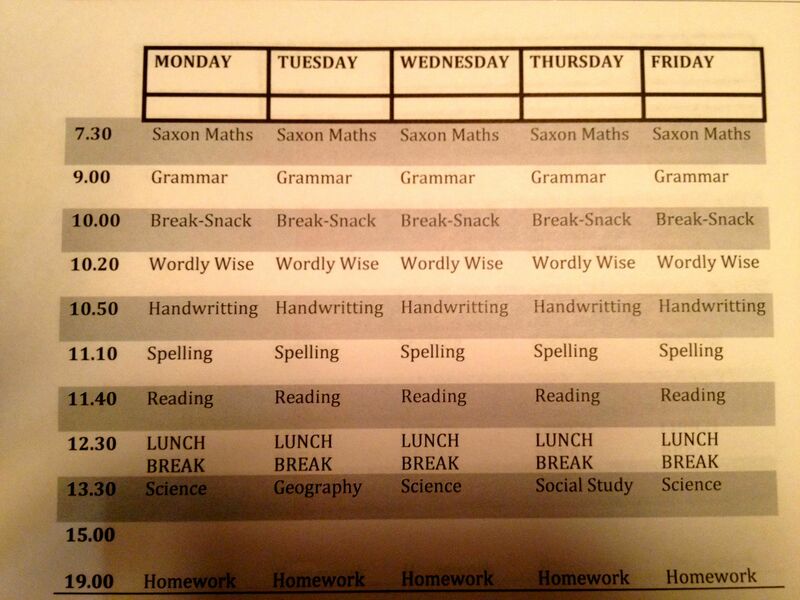 I love getting a glimpse into how other people manage all of the many tasks that go along with homeschooling! 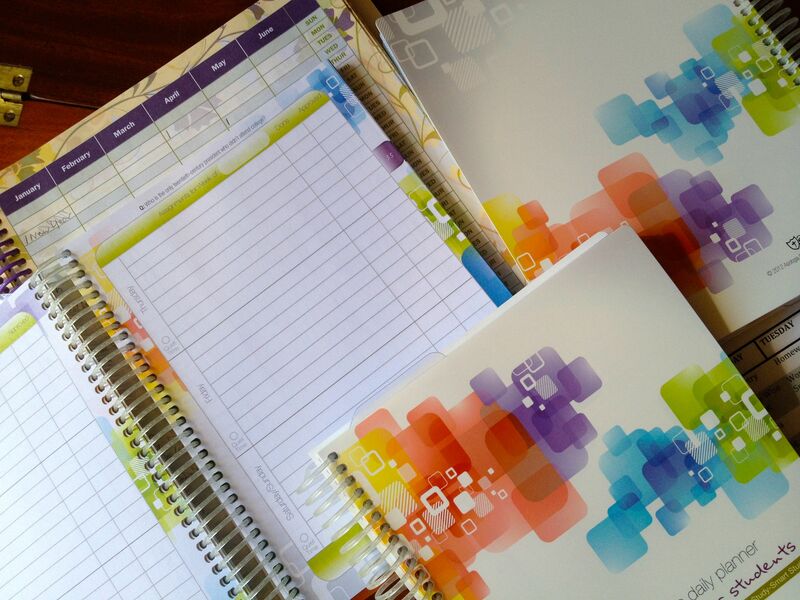 I was wondering, when do you start using the Debra Bell student planners with your kids? I know the description says Grades 4-9, but I was wondering if you found that to be accurate for your family in practice. 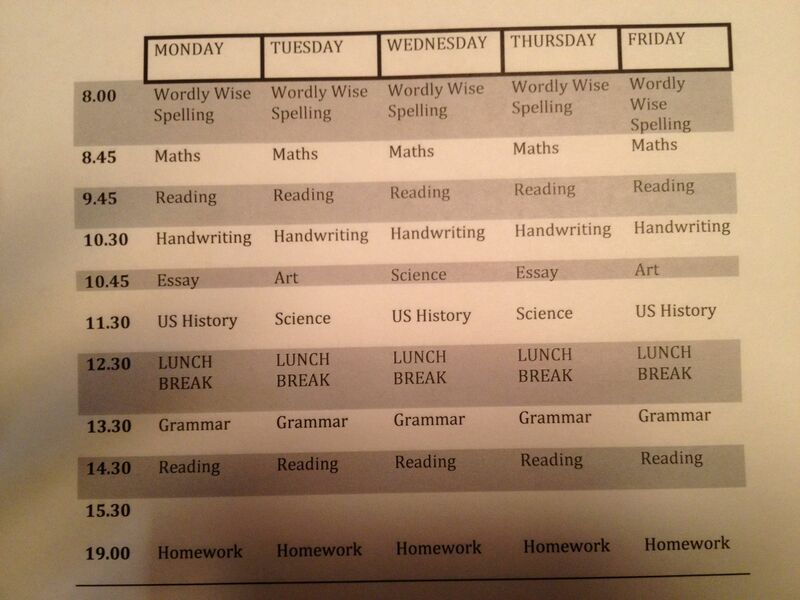 I will be using the student plannes for the first time this year. My goal is to encourage autonomy and personal responsibility. My students are grades 3 – 10. I will be happy to let you, and others, know how they are working. How about mid-October? Mid-October works great for me! I look forward to reading your review!